Facebook – what can I say? I love it and I hate it. I love it because it keeps me in touch with what is going on in the world. I hate it because it keeps me in touch with what is going on in the world. Comments, mostly from strangers, I read a lot of them. I read them until I can’t stand it any longer. Does each of us know exactly what is right? Our side, and only our side? Abortion, gun control, politics. So many sanctimonious posts and re-posts, always of sites and data that support our specific beliefs, regardless of authenticity or truthiness. And, oh, how we like to make fun of anyone who disagrees with us. Ridicule, mockery, caricature, satire, irony, and invective, we gleefully type, look, laugh, and share, all the while congratulating ourselves for upholding the moral imperative. How stupid are those who do not see this and who do not join our bandwagon of ridicule for the other guy? Just ask us and we’ll devise an image to tell you. What is it that makes us feel better, more informed, more liberal, more conservative, more, more, more, when we denigrate those who think differently from us? Dr. Seuss, where are you when we need you? 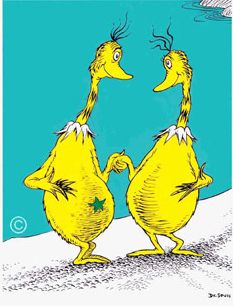 We are the star-bellied Sneetches, sure that our mark shows us as smarter, holier, always on the side of righteousness. And I’m right there, shaking my head, laughing at the ignorance of those who disagree with me. Even in this post. Sometimes, when I read those comments, I am taken aback. Vitriol, hatred, contempt, maliciousness (I have now run out of synonyms) that transcend the bounds of decency, even when those on “my side” are the ones posting. And I think of my morning Buddhist readings….”but maybe I’m wrong,” they say. Just “maybe I’m wrong.” Who would we be without our Sneetch stars? Do you think, just maybe, we could be wrong? Suppose that, for a day, for an hour, when we are in high dudgeon about an issue where we are sure that only we, and those who agree with us, have the answer for, we stopped, took a breath and saw the issue from the point of view of another. We may not change our minds; chances are that we won’t. But considering, respecting, that opinion, and that person, might just lead to an authentic connection, a real communication, some actual dialogue, and perhaps the realization of a third, more efficacious solution. Holding two opposing opinions, sitting with them, and thinking, respecting, and talking, caring. 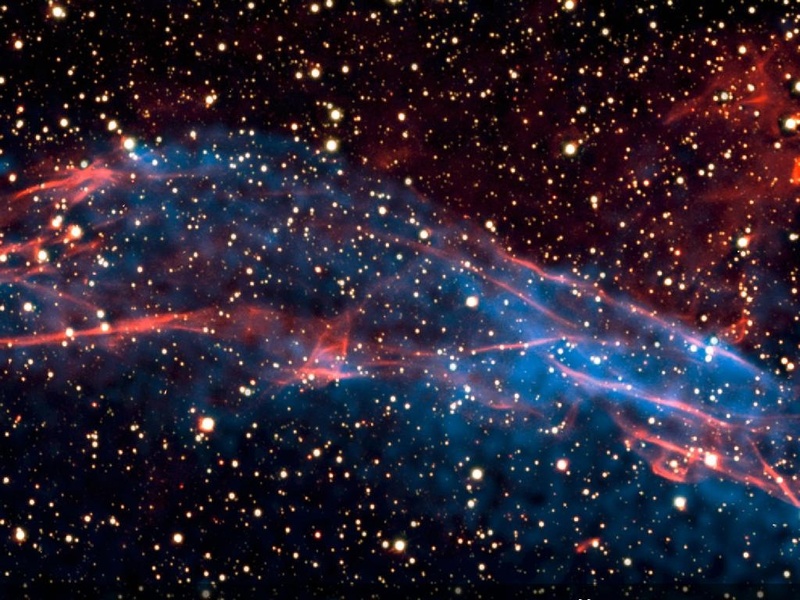 Recognizing that we are, after all, connected. But then, maybe I’m wrong. I’ve always loved being left-handed, and I consider myself a lucky southpaw. In the second grade, when we learned how to write cursive, Miss Habighurst, my wonderful teacher at Westchester Consolidated Elementary School, taught me to tilt my paper to the left, thus avoiding the smeared-paper, hand-curled-around-pen posture with which many lefties are burdened. A simple solution. I don’t know why all teachers don’t use it. I didn’t mind using scissors upside down; I use my knife and fork like a rightie, so I don’t need to transfer my eating utensils before taking a bite. I knit and crochet right-handed because my mother didn’t know how to teach me any other way. My needlepoint slants in the opposite direction, but, so far, no one has noticed and I wouldn’t care if they did. My grandfather, a semi-pro baseball alum, taught me how to field, using my left-handers mitt. I loved it. He taught me to bat, right-handed, and it wasn’t until much later that I realized that this took away my hitter’s advantage. When I wondered about it to my husband, he answered, “Maybe your grandfather knew you wouldn’t play pro ball.” Ah, he was right. In college, I learned to sit in the left half of the classroom, and pull over another desk so that I could more easily use my left hand. In my last year I discovered that there were actually one or two left-handed desks in some of the classrooms, though never in any of the ones that I used. Then I discovered the left-handers’ store. Scissors. A soup ladle. Oh, the delights. 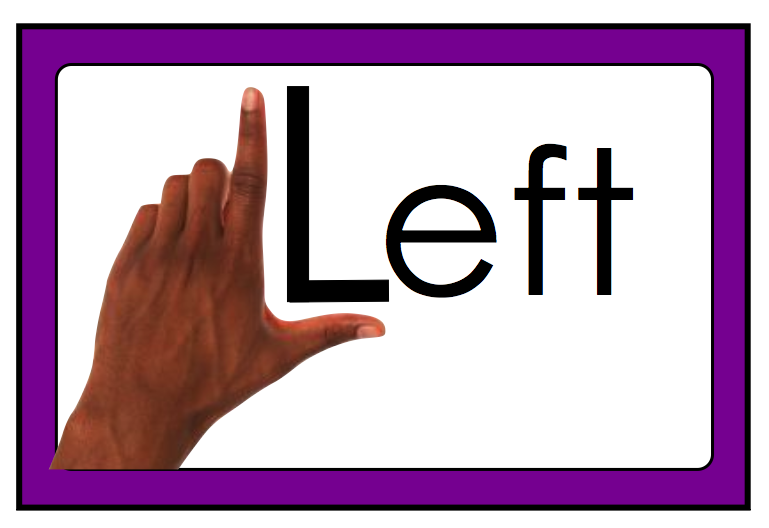 I blame my inability to tell left from right on my left-handedness, but am not too sure of that. So, politics aside, in a world of right, I’m glad to be left. This is a love song to libraries, one in particular. Last week, Al Jazeera aired a documentary on the aftermath of the April riots in Baltimore. Its focus, people working hard to save the city. Revealingly, it featured no politicians. But one of the organizations it did highlight was the branch of the Enoch Pratt Free Library at the corner of North and Pennsylvania Avenues, the corner that the media dubbed “the epicenter” of the rioting. The infamous burned CVS stood in the same intersection. And while a store was burning, while CNN and MSNBC were reporting that Baltimore was on fire, a library stayed open. While a mayor dithered and sought someone to blame, a library stayed open. While looters pillaged the very stores that served their neighborhoods, a library stayed open. In a forlorn neighborhood where hope was in short supply, a beacon flickered that represented hope, and caring, and a future. My own love affair with the Enoch Pratt and its books started many years ago, when my father “exaggerated” my age so that I could get my own library card before I was five years old. I used the Central Library then; it had not only its own Children’s Department, but its own entrance on Park Avenue. Later, while at Grace and St. Peter’s School, my daughter would experience those same delights, including the special entrance. In high school, I discovered Thomas Wolfe at the Edmonson Avenue Branch, and faked a three-day virus to read Look Homeward, Angel. Years later, my love and I sat in the Towson Branch writing our wedding vows. Most recently, the staff of the wonderful Maryland Room in the Central Library provided not only information, but a sense of belonging as I researched my book. I left Baltimore years ago, though I go back for research trips. But even if there were no book, even if I never get back to Baltimore, the Pratt Library will stay in my heart. For while the city was burning, the library stayed open. Spoiler alert: Shameless Self-Promotion Ahead: The Enoch Pratt Library is featured prominently in my historical novel, Another Sunday. It will be available later this fall.